CHAPTER I. AMAEL AND VORTIGERN. Towards the commencement of the month of November of the year 811, a numerous cavalcade was one afternoon wending its way to the city of Aix-la-Chapelle, the capital of the Empire of Charles the Great—an Empire that had been so rapidly increased by rapidly succeeding conquests over Germany, Saxony, Bavaria, Bohemia, Hungary, Italy and Spain, that Gaul, as formerly during the days of the Roman Emperors, was again but a province among the vast domains. The ambitious designs of Charles Martel had been realized. 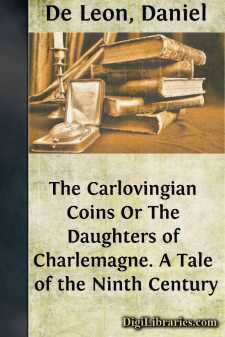 Childeric, the last scion of the Merovingian dynasty, had been got rid of. Martel's descendants took his seat, and now the Hammerer's grandson wielded the sceptre of Clovis over an immensely wider territory. "By Bacchus! You still are preoccupied and silent." "I am thinking of my mother," answered the youth, smothering a sigh. "I am thinking of my mother, of my sister and of my country."